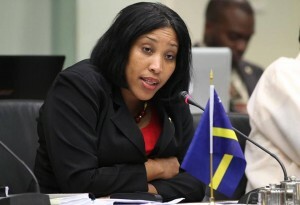 WILLEMSTAD - The case against former Minister of Public Health Jacintha Constancia will start on June 5 and 6 this year. Together with three others, the MFK member is suspected of fraud, embezzlement, forgery and money laundering. This took place with the order of 40 thousand surgical face mask that should have been delivered to the Social Insurance Bank (SVB) for a total of 365 thousand guilders. The order was made but the products were never delivered. According to Constancia’s lawyer, Eldon Sulvaran, there is still no evidence against his client after four years of investigation.